Public diplomatic statements are a highly specialized form of public speaking. Every word is coded, intended not just for general hearing, but to send specific messages to other nations and their diplomats. No diplomatic words convey as much as those expressed "in the strongest terms," a phrase used sparingly for the gravest moments between two countries. 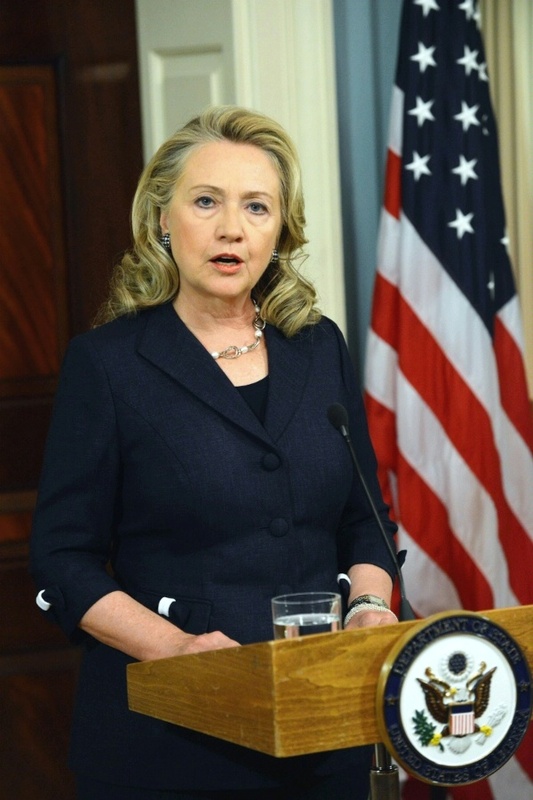 And those were the terms U.S. Secretary of State Hillary Clinton used September 12 in her statement about the killing of four U.S. citizens and diplomats in Libya on the 11th anniversary of the September 11 attacks on the U.S. It was a rare moment to see this speaker in a highly structured format with a high-stakes message to deliver. Humanize the people behind formal setting: "In the lobby of this building, the State Department, the names of those who have fallen in the line of duty are inscribed in marble. Our hearts break over each one. And now, because of this tragedy, we have new heroes to honor and more friends to mourn." 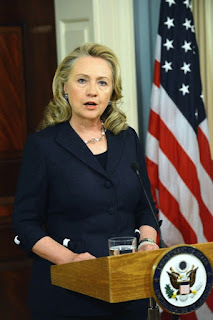 By reminding the viewers that the place from which she spoke is a workplace for the U.S. diplomatic corps and not just a formal setting for her statement, Clinton humanized the largely invisible team of diplomats and reminded us that they were mourning coworkers. These lines also serve the task of any memorial remarks, to comfort the living while remembering the dead. Ask the questions your audience is thinking: "Today, many Americans are asking – indeed, I asked myself – how could this happen?" Clinton said. "How could this happen in a country we helped liberate, in a city we helped save from destruction? This question reflects just how complicated and, at times, how confounding the world can be." The smart speaker doesn't need to answer all the questions on the minds of audience members, but acknowledging them and restating them creates recognition and connection. Fill the empty words with details that will stick with the audience: It's especially easy in formal pronouncements of this type to use words that may be heavy with diplomatic meaning, but sound like empty platitudes to the audience. In this case, just reassuring the listener that Libyans helped the U.S. diplomats might not have been so convincing, given the results. So Clinton shared a few details to make that more real: "And when the attack came yesterday, Libyans stood and fought to defend our post. Some were wounded. Libyans carried Chris’ body to the hospital, and they helped rescue and lead other Americans to safety." Here's the full text of the statement and a complete video below. What do you think of this famous speech?